Create a room full of character and vintage appeal with the addition of this stunning mirror. Painted in an antique white with arched top that is just perfect for displaying on the living room or hallway wall. 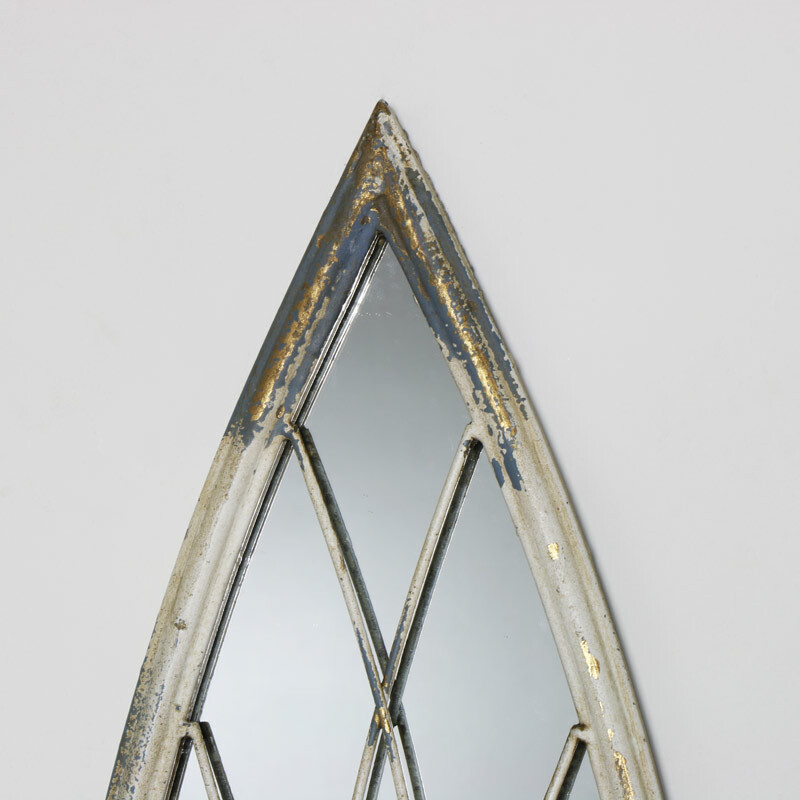 The design of this mirror is very reminiscent of an old style church window with hints of a gothic look. A great look for a traditional or vintage style interior. The metal frame complements the rustic look perfectly and will make a great feature to any wall and add some light and ornamental decor. 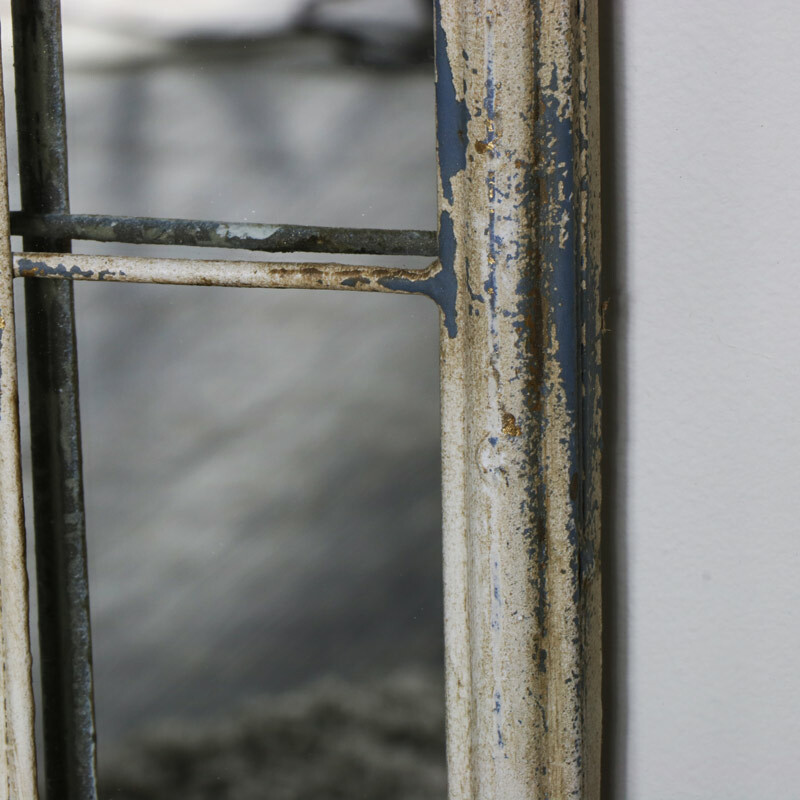 Create a room full of character and vintage appeal with the addition of this stunning mirror. Painted in an antique white with arched top that is just perfect for displaying on the living room or hallway wall. 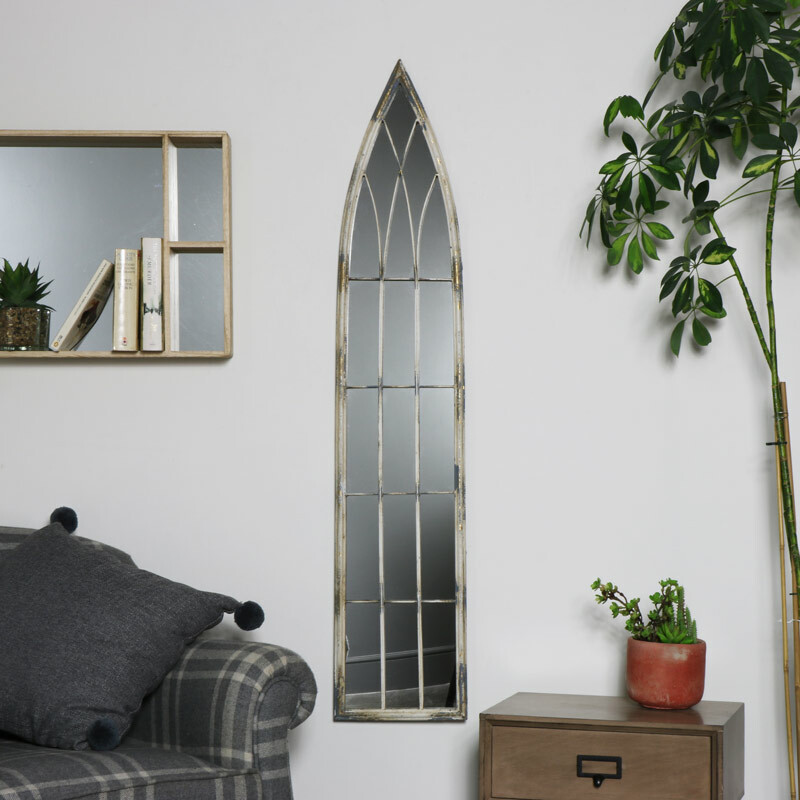 The design of this mirror is very reminiscent of an old style church window with hints of a gothic look. A great look for a traditional or vintage style interior. The metal frame complements the rustic look perfectly and will make a great feature to any wall and add some light and ornamental decor. 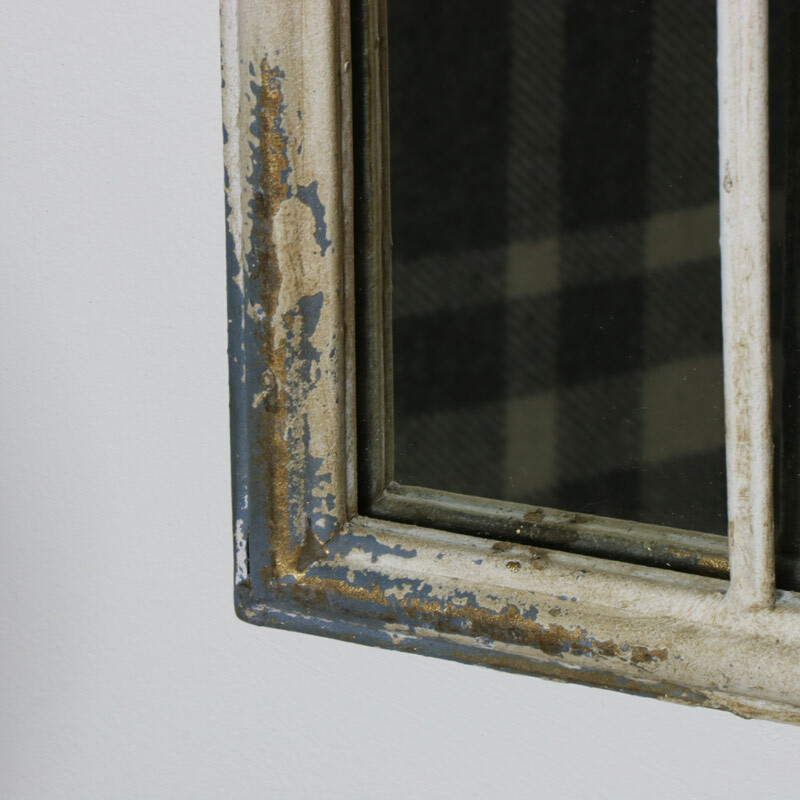 The frame is made from metal and painted in a rustic antique white finish. Easily wall mounted with hooks oon the back. We have a very impressive choice of mirrors that will add a functional and decorational purpose to your home. With so many sizes, styles and colours to choose from.